Harris School Solutions is excited to welcome Crook County School District located in Prineville, Oregon to the Harris family! Crook County School District serves approximately 3,000 students and will implement eTrition (SaaS), our cloud based school nutrition solution, along with EZSchoolPay.com and EZMealApp.com. 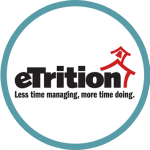 eTrition (SaaS) is hosted by Harris School Solutions, so Harris will maintain all software updates, data backups, and maintenance of the system, saving Crook County School District time & money, and allowing them to operate more efficiently!